Andrea Ginsberg became The Mad Popper on June 1, 2011. 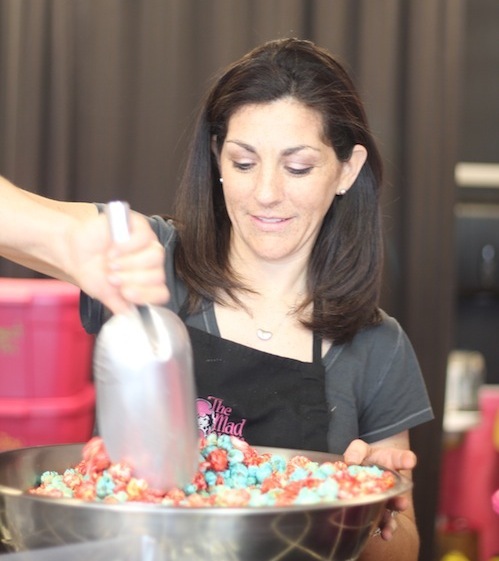 A former elementary school teacher, a wife, a mom of two boys and a life long lover of popcorn, Andrea bought The Mad Popper, established in 2008, with the enthusiasm to take the small local shop and “POP” it on the map! Andrea invites you to pop in and sample any of The Mad Popper’s seven signature flavors or the featured Flavor of the Week! Whether you fill a bag with your favorite, divide a popcorn tin or mix up your own unique combination, with over 40 possible flavors on the flavor menu there is always something popping to satisfy your craving.